The Clay Paky Alpha Spot QWO 800 is an 800w light source that produces an intense sparkling light and houses optical features that place it at the top of the tree in event lighting. You are in complete control with a wide zoom range from 7.6° to 55°, a uniform beam distribution at all zoom angles and a unique Stay-Sharp-Zoom feature that locks images in focus while zooming. The Clay Paky Alpha Spot QWO 800 is the perfect lighting unit to deliver an awesome event experience. Production Hire own a state of the art Clay Paky Alpha Spot QWO 800 for dry hire to support your live music event. 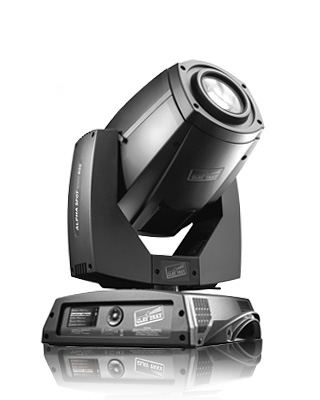 Call or contact us for your free no obligation quote regarding Clay Paky Alpha Spot QWO 800 dry hire. One of the Production Hire team will be happy to help.